It's fantastic and convenient to have your very own pool right at your backyard. Imagine not having the need to pack for pool trips and deal with the chaos in public pools. However, pool maintenance can be a mood-killer especially before and after all the swimming fun. Worry no more! We've got something handy for you. It's compact, yet it can leave your pool spotless in just three (3) hours. 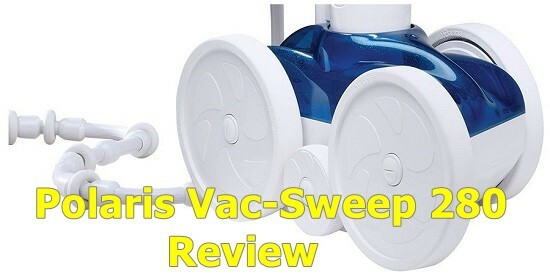 Take a look at the Polaris Vac-Sweep 280, and how you can use it to make sure that your pool is clean as if the water is newly replaced after every cleaning cycle. The Polaris Vac-Sweep 280 is a pressure-side pool cleaner that's built to be powerful enough to clean all types of in-ground pools. It's conveniently used connected to the pool's dedicated pressure line. 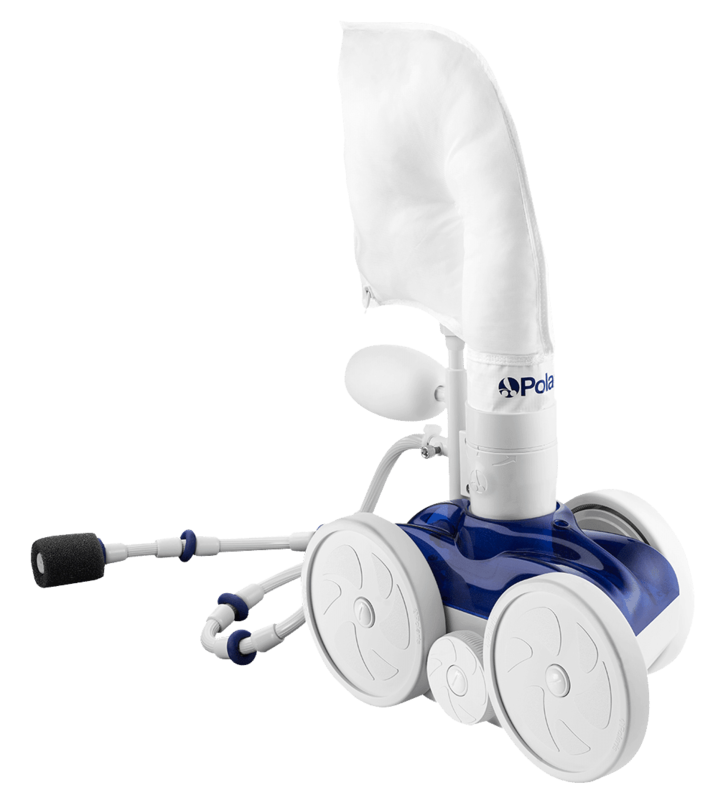 It requires a booster pump to power its double jets and to provide greater vacuum power and faster cleaning. Each cleaning cycle will usually take up to 3 hours or less, depending on the size of your pool. This uniquely features the iconic three-wheel design that also has vacuums that clean the bottom and walls of your pool by sweeping and scrubbing it. The pressure cleaning feature helps keep the skimmer free to remove surface debris and contaminants for cleaner pools. It also maximizes the water circulation as pressure cleaners move clean and heated water throughout the pool to reduce cold spots. This pool vacuum cleaner works in a shaft drive mechanism and classic tires which will surely not get stuck along the process of cleaning. It's also equipped with an auto-backup device and is compatible with Polaris' existing TailSweep PRO. Aside from that, it has an effective, powerful debris intake. The large openings are for big debris like leaves and pebbles. Also, there it is equipped with dual venturi jet vacuum for more powerful intake. You don't have to worry about removing the debris from the filter! It has a large capacity filter bag which can collect debris before it reaches the pump basket and filter to reduce filter cleaning and prolong the life of your pool's filtration system. It can also continuously clean your pool with the in-line back-up valve which automatically frees the Polaris 280 if it gets cornered and can clean up without any interruption. The Polaris 280 is also a reliable pool cleaner you can count on. It can truly stand the test of time. The way you use it will actually depend on how long it will last. As long as you're keeping the vacuum cleaner and filtered every after use, you're going to use this season after season. How do I connect the Polaris 280 to a booster pump? First, you have to note that the booster pump is sold separately from the pool cleaner. To set up your cleaner, just connect the vacuum tubing into the outlet where the water comes out from the pool to the main unit and finally to its tail and collecting bag. Can you buy an extra or longer hose for this pool vacuum cleaner? Yes! You can buy an extra hose or any accessories that are suitable to match with your Polaris 280. This will ensure that your pool cleaner can move around and clean your pool really well. Does this unit come with a back-up valve? Yes, there is a back-up valve included in the box. Can it be used in an above-ground pool? The Polaris Vac-Sweep 360 pressure-side pool cleaner is primarily built for in-ground pools, as it operates without a separate booster pump for maximum energy efficiency. The Polaris 280 Vac-Sweep pressure cleaner is truly one of the most cost, power and effort-saving pool cleaners that is currently available in the market. Although it requires minimal set-up to maximize its capabilities, it's only done on the initial part of the process. Once you've installed it, the cleaning fun begins. You can use this will different pool surfaces such as fiberglass, vinyl, gunite, and pebbles, so it really caters to everything you would need. It can even run with just a single pump and motor! Except for the booster pump, the manufacturer of this product has included everything you will need for the efficient functioning of the pool cleaner. It has mesh filter bags, vacuum hose, back-up valves, and adapter. So, you're really getting your money's worth! If you’re looking for an affordable yet effective pool cleaner, then the Polaris 280 is for you.